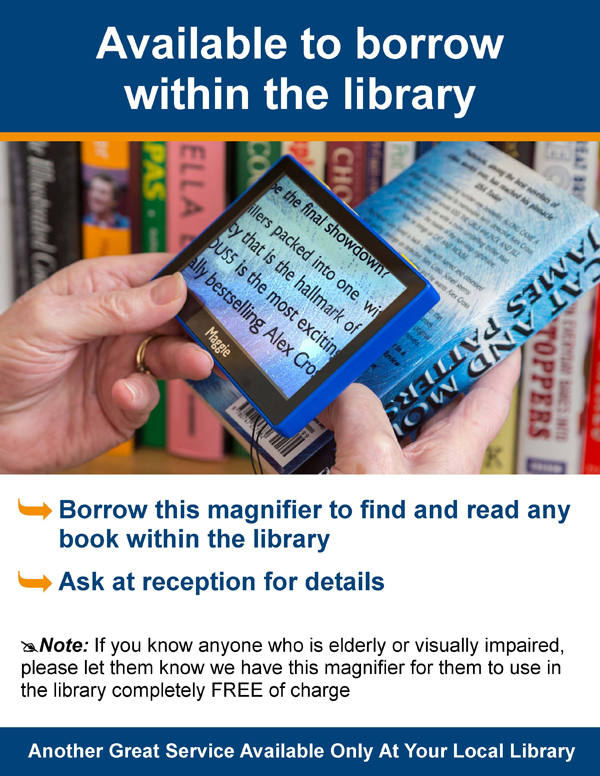 When a sighted person walks into a library they can find books easily, but what about the millions of elderly people with vision loss? 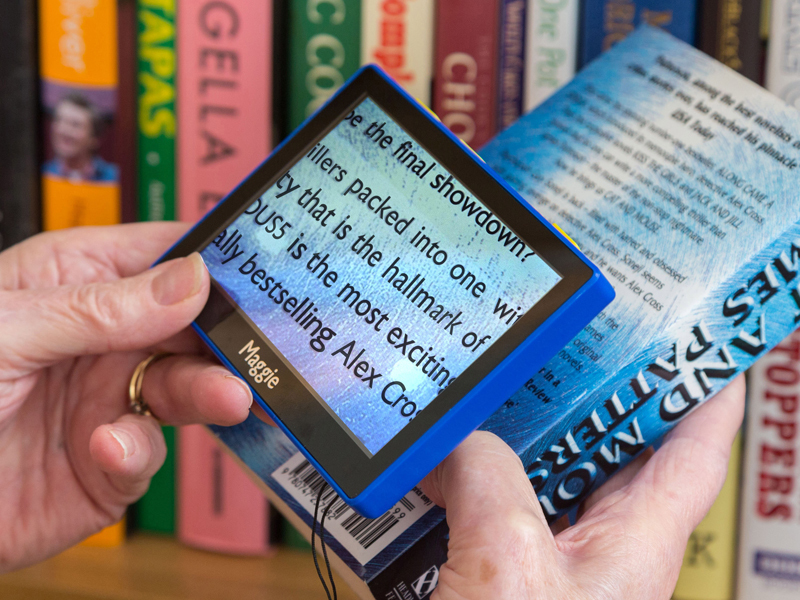 Statistics show that most people with vision loss do not visit their library as often as they might. The first barrier for them is finding a book to read. The Maggie can solve that for a significant number of patrons. How can a Maggie help? How do you re-charge it? What if it gets dropped? 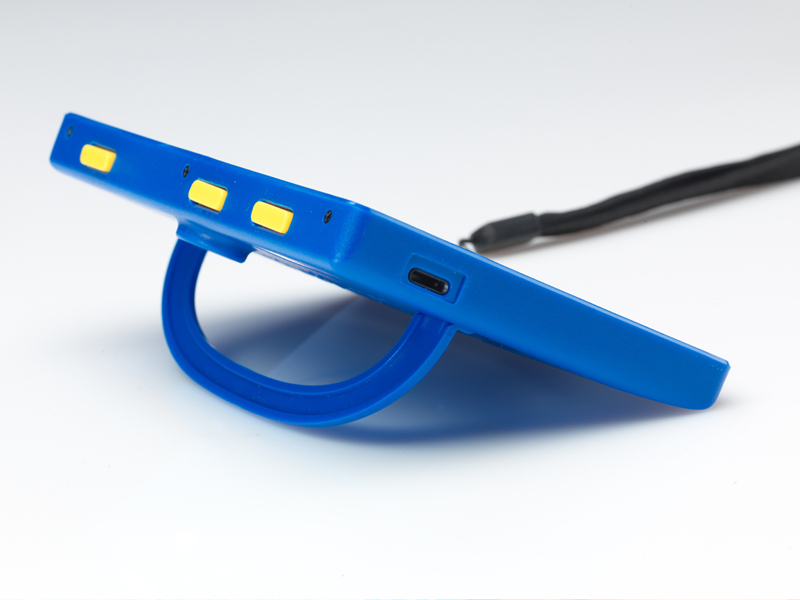 The Maggie is very easy to use and very convenient, especially for on the spot magnification. By keeping a Maggie 'behind the counter', for example at a reception or inquiries desk, it can be loaned out to any qualified person in need. That in itself is easy to regulate or can be left at the discretion of the staff on duty. 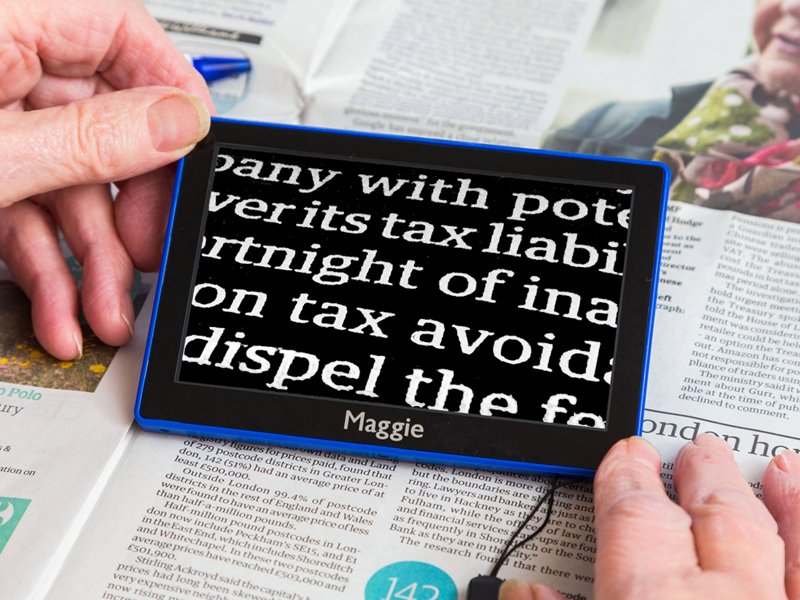 The only objective of the exercise is to ensure the magnifier is loaned to anyone who can't see small print. In reality, and in our experience, that is most elderly people. Statistics show that over the age of 65, the percentage of people with sight deterioration rapidly increases. While some people can have perfect vision in their senior years, you will find that almost all patrons will find convenient magnification to be of benefit. In the library, a patron can use the Maggie to find books or to sit and read. It's ideal for checking public notices, leaflets or any other printed information too. 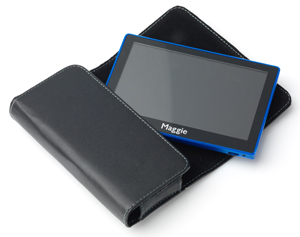 The Maggie can be used anywhere without needing any form of supervision or connection to other equipment. One large, easy to see yellow button turns the unit On/Off - That is all that is needed for around 80% of users. A second large yellow button changes from regular view to pure white text on black background - Some people will prefer that. It is purely personal choice, although for some people with an eye condition called Macular Degeneration, they much prefer it because of the reduction of light from the screen. A third large button allows zoom in and zoom out. It's super simple - Bigger/Smaller. A fold out leg at the back of the product makes everything in perfect focus. Just touch the product against anything you want to read, there is no need to try to hold it in the air or at an angle. You can stand the Maggie on a magazine and move it along to read. It is extremely simple and easy. Have you ever charged a mobile phone? The Maggie is the same, plug in the power cord and it charges automatically. You can then use it to read for up to six hours. The Maggie is designed to be tough! In the unlikely event of a drop causing it to break we can easily and affordably repair it. Here's how that works. The unit gets damaged, you send it to us, we advise you of the cost, you agree, we repair it and return it to you. Our processing time is typically 24 hours! It's that simple. Alternatively, become a BVC (Bierley Vision Club) member and warranty and accidental damage are covered FREE for life. The retail value is $395. To assist libraries though we provide a very significant subsidy with further discount for quantity orders. All public libraries automatically qualify for credit terms against an official purchase order. 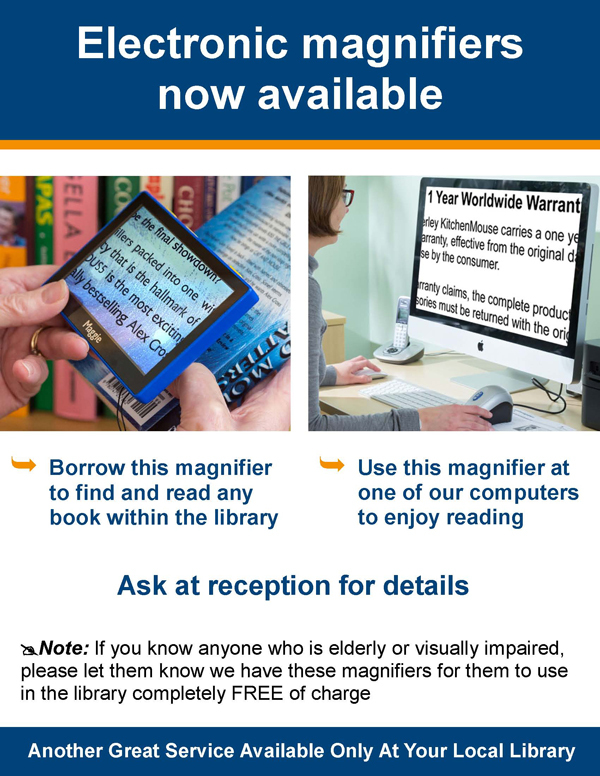 You are most welcome to download and use any of the following images or documents expressly for the purpose of assisting your community to read with the Maggie.